Louisiana Gov. Bobby Jindal, who only a few years ago was lamenting the GOP’s decline into “the stupid party,” is now staking out a position on the party’s far-right fringe in preparation for an expected run for the presidency. 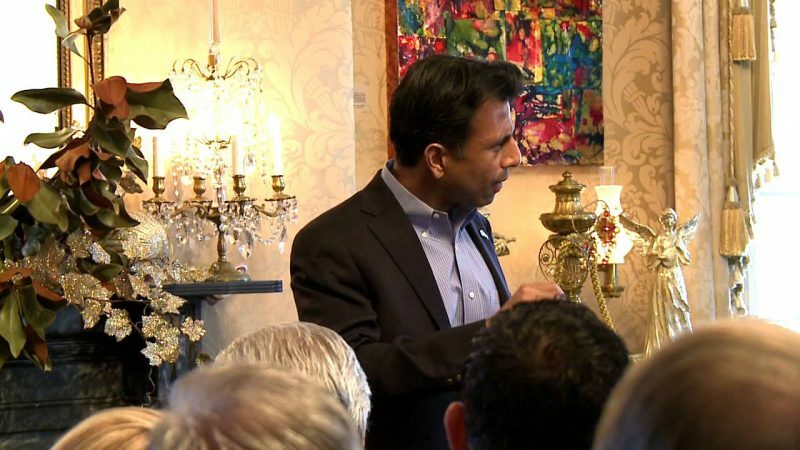 Jindal has reached out to the party’s increasingly extreme base by undermining the teaching of evolution in public schools; promoting wild conspiracy theories about Common Core, an effort to adjust school standards that he supported before it became the target of the Tea Party’s fury; and hyping the purported persecution of Christians in America, specifically citing the plight of Christians with reality television shows. Jindal, once hailed as the GOP’s top intellectual and reformer who denounced “dumbed-down conservatism” in an era of Tea Party populism, is slated to lead a prayer rally this weekend, “The Response: Baton Rouge,” organized and sponsored by some of the most extreme figures within the party. Texas Gov. 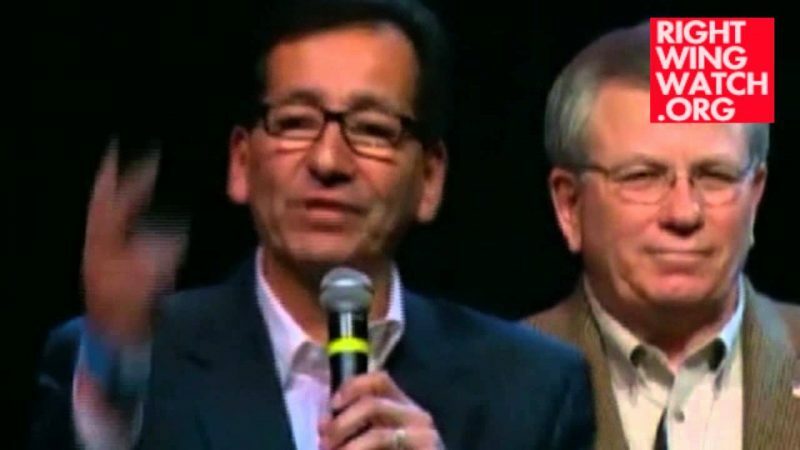 Rick Perry organized the original “Response” prayer gathering as a prelude to his 2012 presidential bid, allying with many of the same radical activists and organizations who are supporting Jindal’s version of the rally. While Perry’s campaign ultimately imploded, the people who helped put together his prayer rally credited it for various miracles. Jindal’s event has even recycled promotional materials from the Texas rally, including a “prayer guide” blaming marriage equality for Hurricane Katrina and the 2011 Joplin tornado. “The Response” is being organized by David Lane, a Religious Right activist who boasts of his great influence and low profile, and various conservative pastors, including several who claim to be modern-day prophets and apostles, who all kicked off the prayer rally with an event at the Louisiana governor’s mansion earlier this month. The American Family Association, so notorious for its apoplectic anti-gay rhetoric and opposition to the freedoms of non-Christians that its chief spokesman earned a rebuke from Mitt Romney, is putting up the funding. David Lane, a self-styled “political operative” who gloats that he has “operated since 2005 largely under the radar” on behalf of conservative causes and Republican candidates, is serving as the organizational muscle behind Jindal’s prayer rally. Jindal isn’t the only potential GOP candidate who is getting Lane’s help; Lane has also arranged various events focused on energizing conservative pastors in early GOP primary states that have featured appearances from potential presidential hopefuls Ted Cruz, Rand Paul and Mike Huckabee. He also organized overseas tours with various conservative activists for likely candidates including Huckabee, Perry and Paul. Lane has also teamed up with the Republican National Committee, whose chairman, Reince Priebus, sings his praises. Lane hopes to use “The Response” as a launching pad for his effort to recruit 1,000 pastors to run for elected office. 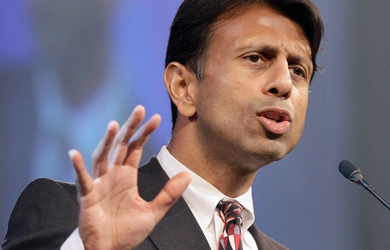 The American Family Association, classified as a “hate group” by the Southern Poverty Law Center, is providing the financial backbone for Jindal’s prayer rally, as it did for Perry’s 2011 event. and argued that the violent expulsion of Native Americans was divinely ordained. Other AFA officials have blamed gay people for natural disasters like Hurricane Isaac, promoted birther conspiracy theories and railed against secular Jews as threats to America. The latter half of Rick Perry’s “The Response” prayer rally was emceed by a self-proclaimed prophet who believes Oprah Winfrey is the harbinger of the Antichrist. It looks like Jindal’s rally will be no different: Doug Stringer, who considers himself to be a modern-day apostle and who also worked on Perry’s rally, is spearheading the Louisiana event. Stringer has blamed American “[l]icentiousness or moral looseness to the degree that it is ‘in your face,’ including homosexuality,” for the September 11, 2001 attacks, which he described as a “wake-up call” from God. and blamed the repeal of Don’t Ask Don’t Tell for freak bird deaths in Arkansas. and warned that marriage equality will lead to America’s destruction, widespread persecution and even death. and suggested that Muslim-Americans are waging a “stealth jihad” to overthrow the U.S.
and described President Obama as an evil Muslim who leads an Antichrist political party.